This week the first wave of new domain name extensions becomes available to the general public – you’ll be able to get your hands on these from 4pm this afternoon [Wed 05 Feb] and the internet is abuzz with excitement and a little bit of confusion. So here’s a summary to clear the waters a little, so you know what’s available and when. ICANN has been busy working toward increasing the range of domains available to consumers to improve choice and competition, while also enabling more succinct and significant domain names that can be more closely linked with the products and services offered on them. From 22 previously available, the number of domain extensions approved by ICANN now stands at over 100 with many of these planned for release over 2014. Applications for new extensions are still being accepted so there will be many more to come. It will be interesting to see how these domains are used, will there be some really clever combinations or will they seem a bit odd, will they be adopted by many and will brands start to prefer them over the old tried and tested .co.uks and .coms? The provisional general availability release date for more extensions can be seen below. While not a full list, it lists the ones most likely to go live. Please note that these dates are just a guide and are subject to change. As well as these, Nominet are also planning to release the shorter .uk domain name from the 10th June 2014, the same date as the planned .london release. We’ll have an update here when we have all the information on their release. We are working with our partners to allow you to register the new domains as they become available. Use our domain availability checker and check the new options available to register today. 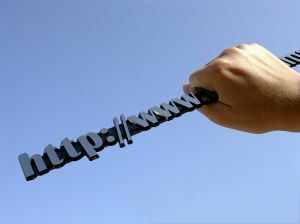 You can find more information about the domain names here.